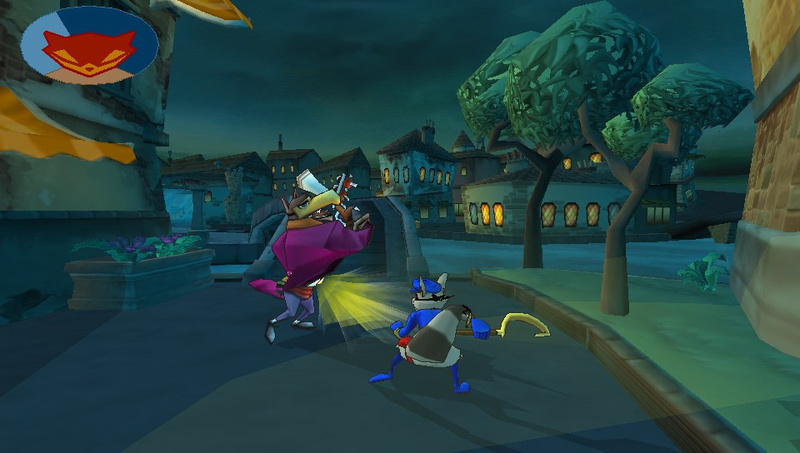 While the Jak & Daxter and Ratchet & Clank trilogies are widely regarded as the pinnacle of the PlayStation 2’s platforming fare, it’s Sucker Punch’s criminally underrated Sly Cooper series that stole this humble editor’s heart during the early-to-mid 2000s. Depicting the globetrotting antics of a light fingered raccoon, the inFAMOUS developer’s inaugural Sony exclusive outings possessed a personality and penchant for variety that few franchises flaunt in this day and age. As such, it may not surprise you to learn that all three escapades remain appealing some ten years after their original release – but does this PlayStation Vita port represent plunder that your portable really requires? That’ll probably depend on how much you enjoyed the original trio of thieving titles, but know that The Sly Collection – also known as The Sly Trilogy in Europe – is nothing short of excellent from a technical perspective. 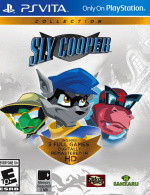 Based upon the outstanding conversion that landed second-party studio Sanzaru Games a job on the series’ full PlayStation 3 sequel Sly Cooper: Thieves in Time, this game feels right at home on the platform holder’s signature handheld system. 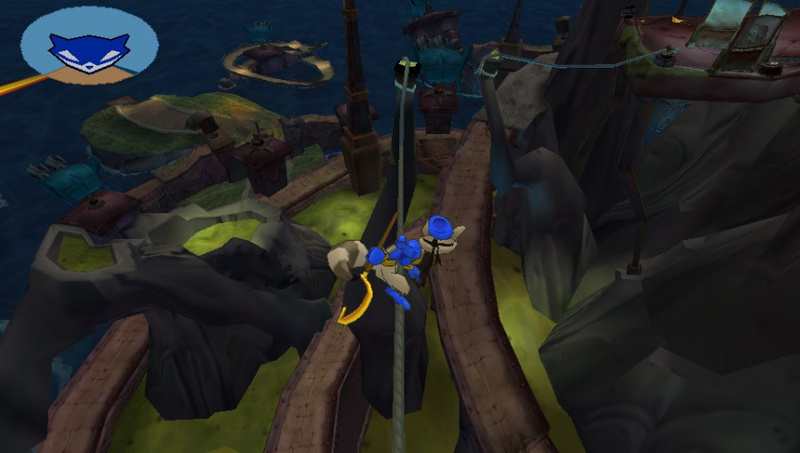 Unlike the Jak & Daxter Collection – which struggled to make the transition to the Japanese giant’s pocketable slab – Cooper and crew feel like they belong on the console, with a predominantly smooth framerate and sharp artstyle making all three pilfering platformer’s pop on the platform’s uber-sharp display. They play great, too, with each instalment representing a sizeable stride in the studio’s heist hopping ambitions. 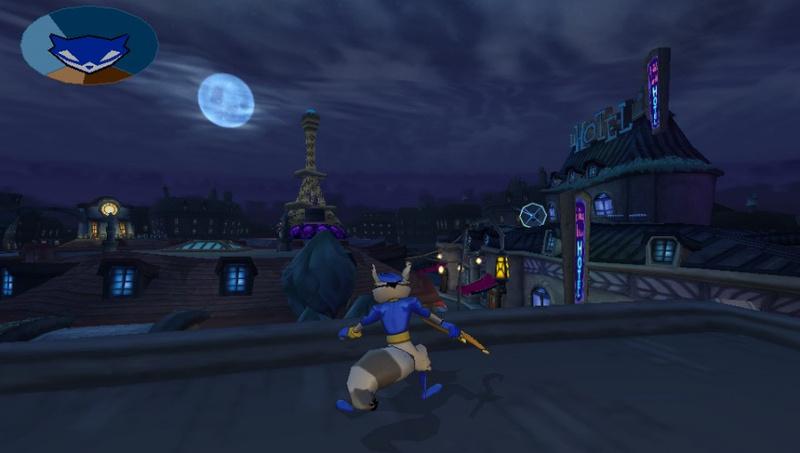 Sly Cooper and the Thievius Raccoonus – which is the first entry in the franchise – is perhaps a little simplistic in comparison to its predecessors, but it’s still entertaining in its own right. Here you’ll control the titular tea leaf almost exclusively, as you move between exotic hub worlds, collecting pages from the character’s thieving thesaurus, which has been stolen by a meddling gang known as the Fiendish Five. This is a much more straightforward platforming affair, in which you move between sub-stages Super Mario 64-style, collecting keys and putting down bosses in pattern-based battles. Its cel-shaded visuals look the part, and hold up on the handheld well. However, it’s easily eclipsed by its successors Sly Cooper 2: Band of Thieves and Sly 3: Honour Among Thieves. At the time, these titles represented a culmination of the Seattle-based studio’s experience with the PS2 hardware, and they still look outstanding today. This is partly due to the excellent conversion, but also the borderline timeless artstyle, which employs big blocks of colour and strong shading to create a comic book-like appearance. The opening mission of the latter title is especially appealing, depicting a stormy island scene which you must traverse while rain batters the futuristic fortifications that antagonist Dr. M has constructed in order to encase the super secret Cooper Vault. There are some framerate flaws present that don’t affect the console release, but the transition to Sony’s portable console is largely spot on. Similarly strong are the sequels themselves. Band of Thieves feels a little dragged out at points – its emphasis on reconnaissance objectives feeling tired by the time that you reach the final few missions – but Honour Among Thieves is a hoot from bold beginning right through to its character swapping conclusion. While all three titles tiptoe into minigame territory, it’s the third game that gets the variety just right, managing to surprise you in almost each world, without ever losing focus of the stealth-lite shenanigans and precision platforming that underline the original game. Much of this diversity stems from the ability to take control of different cast members – including Bentley the Brains and Murray the Brawn – but the unique locations certainly don’t hurt. These areas all come with their own individual motif, from a Parisian discotheque owned by a slimy smooth mover named Dimitri to a romp through a Dutch airbase in which the protagonist must bring down a pilot named the Black Baron in an Ace Combat-esque dogfight. Each chapter is framed as a different episode, making it both a perfect fit for portable play, and also providing sweeping palette swaps depending on the particular surroundings that you’re currently scouting. Indeed, the environments are as much of a character as the core cast, with the scenery and inhabiting guards indicative of the ambience and wildlife typically found in the associated area. It’s effortlessly imaginative, as are the sweeping back stories that are attached to the characters in order to give context to their actions. It’s just a shame that many of these revealing cinematics have been compressed to within an inch of their life in order to squeeze them onto the handheld machine. While the original HD remake possessed some iffy cut-scenes – a consequence of the manner in which many of these pre-rendered sequences were originally encoded for the PS2 – they are much worse here, opting an appearance akin to a YouTube video streamed through a 56k modem. It’s a simple consequence of space limitations, which also means that that some of the audio sounds a little fuzzy to boot. Due to the third game’s inclusion as a separate download, it certainly holds up the best, but if you’ve never enjoyed the surprisingly strong stories at the heart of this trilogy, you should plump up for the PS3 game. That doesn’t make this compilation worthless, though, as the short missions, straightforward controls, and simple structure all make it perfect for portable play. The level design and aforementioned variety also ensure that experiencing these titles for a third time won’t leave you rolling your eyes, as they still feel as fresh as ever – even after you know exactly what to expect next. It’s a bit of a shame that the package lacks the additional minigames of its console counterpart, but we can live without that. Perhaps a greater offense is the absence of cross-save with the console release, but seeing as it’s been over four years since that package hit store shelves, it’s quite nice to have an excuse to play through the trilogy again from scratch. It may be sneaking onto Sony’s handheld more silently than the cunning raccoon at the centre of its adventures, but The Sly Collection provides the best platforming antics that you can currently find on the pocketable format. Sanzaru Games’ exceptional upgrade looks outstanding on the portable machine, while Sucker Punch’s original escapades remain as engrossing as ever – despite the trilogy being roughly ten years old. Cut-scene compression does detract a little from the otherwise engrossing narrative, but this is still a compilation that deserves a space in your swag bag. 1) Whether or not these games are seperately available on the store / install seperately? 2) The (digital) file size of the game(s)? 3) The available language choices in-game? This will be a fun PS Plus freebie to have on the go in a few months (because, come on, of course it'll be on PS plus), but since I have these games on PS2 and PS3, I won't be buying again. A stealth release. How fitting and ironic. Hi @jpelgrom, I'll do my best. 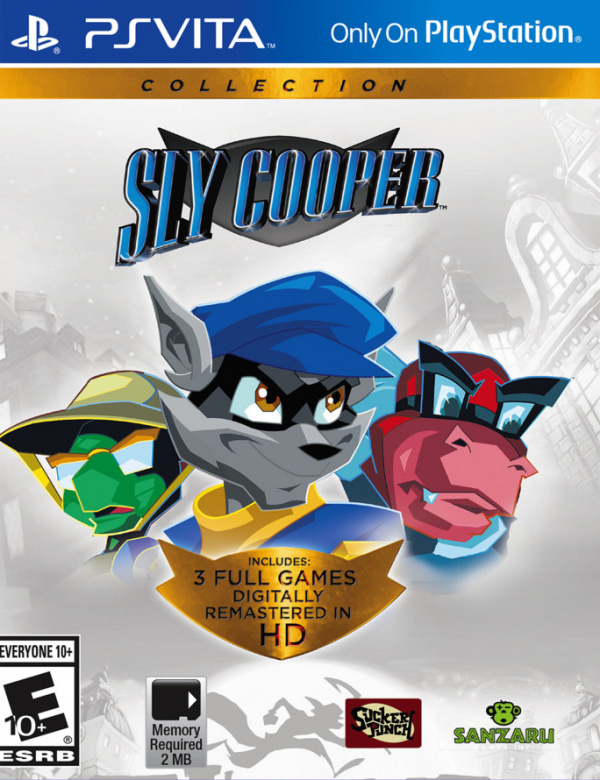 1) The download code I was provided with included Sly 1 and Sly 2 in one app, and Sly 3 in a separate app. My guess is that when you buy the cartridge, you'll get Sly 1 and 2 on the card, and a download code for Sly 3. Whether you can buy them individually from the PS Store, I don't know yet. 2) Sly 1 and 2 are appoximately 2.5GB, while Sly 3 is around that, too. This is going off memory - I can get you the exact numbers later if you want them. 3) Would have to check this, too, I'm afraid. Will look later. Sly 3 = 2631 MB. US get it in May. If you can buy them individually I'll happily get Sly 1. The other two bored me and were too repetitive for my liking. Plus they decided to add in unnecessary persistent and tiring cutscenes (especially the third). 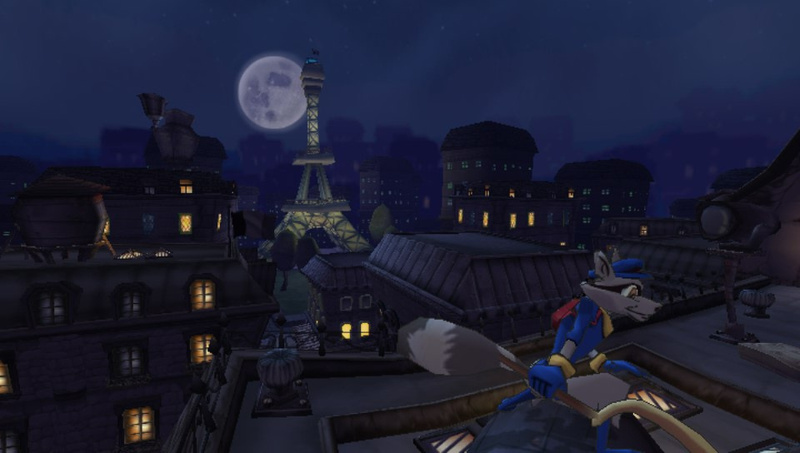 Sly 1 is the best Sony platformer I've played though, hope it's available singularly. True classics, Sucker Punch need to make another Sly title. The series can't advance without them. 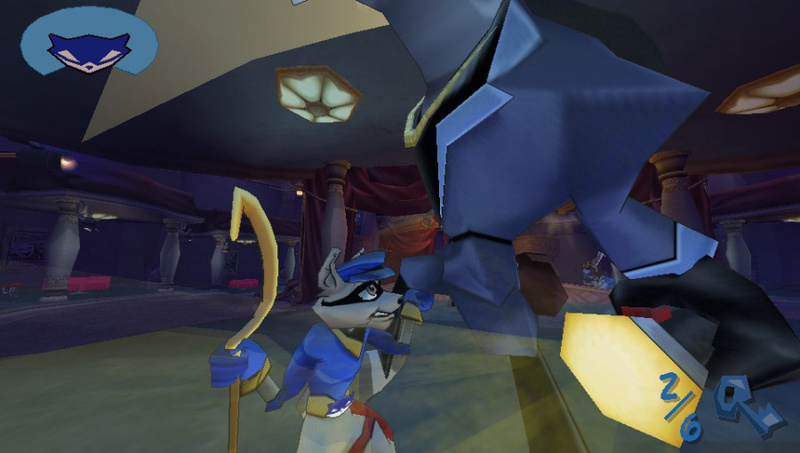 Theives in Time was great, but the overall mechanics in Sly 2&3 are better, as are the nuances. I still loved Theives in Time, but I could write an essay on why 2&3 are better. Yes you can buy them separately for £7.99/€9.99/$14.45 or in a bundle for £19.99/€24.99/$32.95. @Big-Boss I just saw it. It's cheaper to buy the PS3 bundle though, since it saves you €5 and the title is cross-buy enabled. @Big-Boss @jpelgrom @rastamadeus Yeah, I got my file sizes wrong, too. It's 3.3GB for the 1 & 2 bundle, and 2.6GB for the third one. Also, like you mention, it's cross-buy enabled. Really strange release this. I know it's a port and all, but Sony just seems to have dropped it out of nowhere. It's a shame, because it's really good, too. @get2sammyb Sly 1 and 2 are also seperately available and are 6.8 and 8.8 GB respectively according to the description... Sony still has to fix a few things. Did they adjust camera controls for 1 & 2 to match 3 or are the inverts still backwards? I remember some issues with left and right being inverted. Would've downloaded the first again for free (cross buy) but it wants to charge me for it and the original PS3 version has disappeared from my download list, yet the others haven't. Is it too much to ask Sony sort out everything on the store before they update? Week after week it's broken. And they've just cancelled the Borderlands 2 DLC as well - but took my money. Wonderful. @get2sammyb separate trophy lists? Or instant platinum if you have it? @AG_Awesome It's as it was in the PS2 game, so a bit wonky. @ZeD Looks like they're separate Trophy lists to me, although the Trophies aren't syncing yet, so hard to tell. Pretty sure they're new. Got this pre ordered. $23.99 at Best Buy if you're a GCU member... not bad. I'd love to see this drop on PS4! !